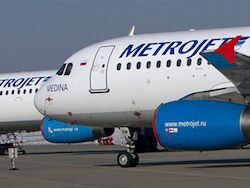 MetroJet ("Kogalymavia") – small airline which specializes on charter transportations to the most popular countries among the Russian tourists: Turkey, Egypt and Spain. 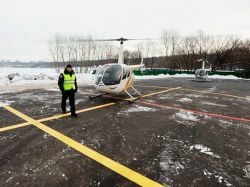 The company was based in 1993, carried out flights from the largest cities of Khanty-Mansi Autonomous Okrug (Surgut, Nizhnevartovsk, Kogalym) to the cities of the European part of Russia, and also was engaged in helicopter works. 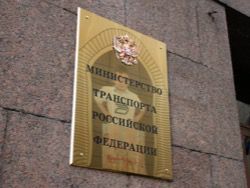 In 2011 of "Kogalymavia" refused operation of planes of the Russian production (Tu-154, Tu-134) in favor of Airbus A320 and А321, and some months later carried out rebranding and it was renamed into MetroJet. 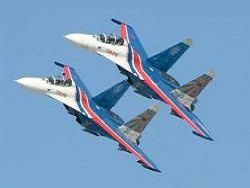 Today the airline is based at the Moscow airport "Domodedovo". According to Rosaviation (for June, 2015) in park of a carrier of 7 Airbus A321 planes. The age of all boards exceeds 10 years. At the Russian tourist forums many negative responses from passengers of MetroJet meet. The majority complain of delays of departures and quality of service onboard. According to Rosaviation in August about 5 % of the flights MetroJet took off later, than was planned – but it, for example, three times less, than at Yakutia airline. Airbus A321 which have broken on October 31 was maintained more than 18 years. The first six years carried out flights in the Lebanese airline Middle East Airlines, then – in Saudi Arabian Airlines (Saudi Arabia), Onur Air (Turkey) and Cham Wings Airlines (Syria). During flights in MetroJet this board was registered in Ireland. 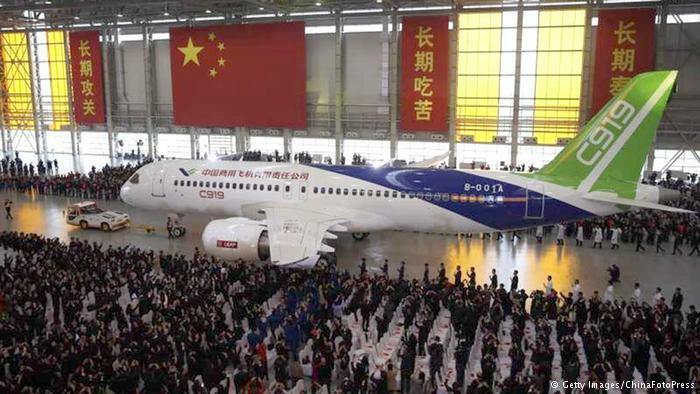 The certificate of the flight validity of the plane was issued by the Irish aviation authorities in the spring of this year and was valid till March, 2016. 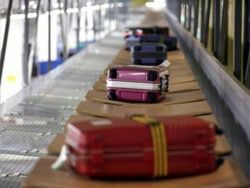 On the eve of crash the board arrived to the Sharm el-Sheikh airport from Samara. 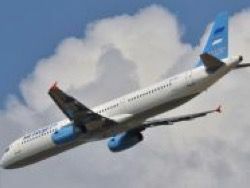 According to a source of RIA Novosti news agency in the airport of Sharm el-Sheikh, the crew «several times within a week addressed in technical service in connection with refusal with engine start». However according to the FlightRadar24 resource which traces movings of planes worldwide, this week the board is in Sharm-al-Sheykhe only one night – with 30 for October 31. JSC Kogalymavia Airline belongs to JSC Zapadnaya aviatsionno-investitsionnaya kompaniya which in turn own Amirbek Gagayev, Buvaysar Halidov and Hamit Dzhankut Bagan. Bagana – the citizen of Turkey, is engaged more than 35 years in travel business and owns the largest private airline in Turkey Onur Air in which broken A321 a few years ago flied. Tragic flight of Sharm-al-Sheykh – St. Petersburg was custom-made tour operator of Brisco. His owner Viskhan Tabulayev at the same time is a general director of «The western aviation investment company» to which possesses MetroJet.